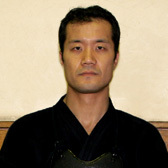 Kendo Club Alumni Shoji Teramoto ('98, Osaka Law Enforcement) won the 55th All Japan Kendo Championship Series on November 3rd, 2007. His victory was a first in a series of recent accomplishments from our alumni. 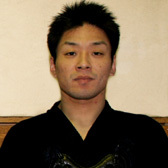 In November 2008, Daisuke Wako ('00, Hokkaido Law Enforcement) became the runner-up champion at the 56th All Japan Kendo Championship Series. Like Teramoto and Wako, many of our alumni continue to develop their kendo skills after graduation by following a career in law enforcement. However, many others also choose a variety of other professions including education and business. One thing that can be said about all alumni, however, is that very few stop training Kendo after graduation. Instead, most develop an even greater love for the sport, some returning home to teach at their local dojo, while others continuing their training while perusing various careers. Attended Kumamoto Kogyo University High School. 2007 All Japan Kendo Championship Champion, World Kendo Championship Series Champion. Attended Tokai University Dai-yon High. 2008 All Japan Kendo Championship Runner-up. Finding employment after graduation demands strong intrapersonal skills, the kind taught at Budo University. Our alumni, working at the forefront of society, open up doors for future alumni of the Kendo Club. Shinryo Construction, Nippon Corporation, Nippon Pavement, et. al. Kimmon Manufacturing, Canon, Konishi Brewing Co., Toyo Suisan, Toppan Printing,　Toppan Forms, Fuji Xerox, et. al. Nippon Express, Nippon Unso, et. al. The Bank of Akita, Sompo Japan, Taiko Bank, Mitsui Life Insurance, et. al. Anrakutei, JRI Kani Doraku, et.al. Central Security Patrols, ALSOK, Haneda Turtle Service, et. al. Ministry of Justice (Prison Enforcement), Ministry of Defense (SDF), Imperial Palace Guard, Prefecture Law Enforcement, Fire Department, Prefecture Administration Staff, City/Town Administration Staff, et. al. Various Private/Public School Teaching Staff, et. al.